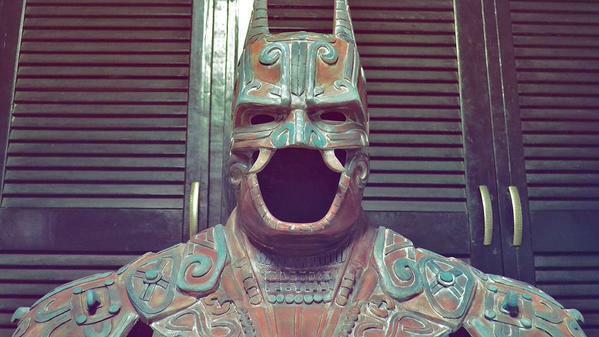 Claim: this is a photo of ancient Mexican Batman. The photo is real, but there is nothing ancient about it. Mexican artist called “Kimbal” created this artwork in 2014.